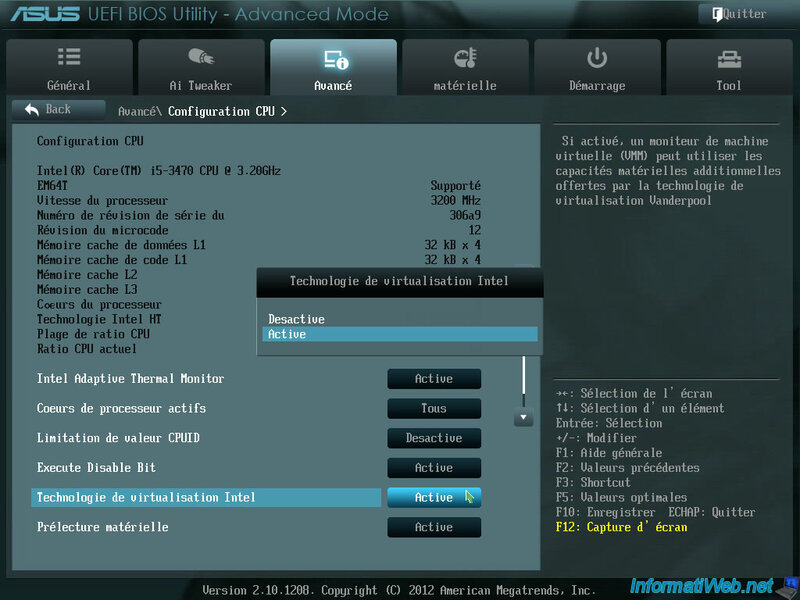 Enabling virtualization in the BIOS of your motherboard should only be made if your processor supports it. In the case, otherwise you will not be probably not possible to activate or it will not work. Know any time that all the new processors now support virtualization (called VT-x for Intel and AMD-V for AMD). 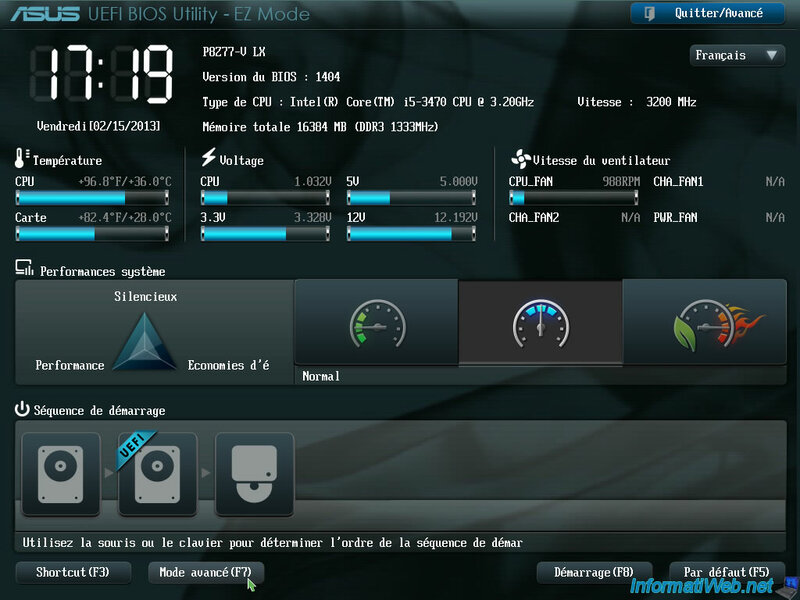 At startup, when the logo of your motherboard appears, press several times DEL key (depending on your keyboard) to enter into the BIOS. 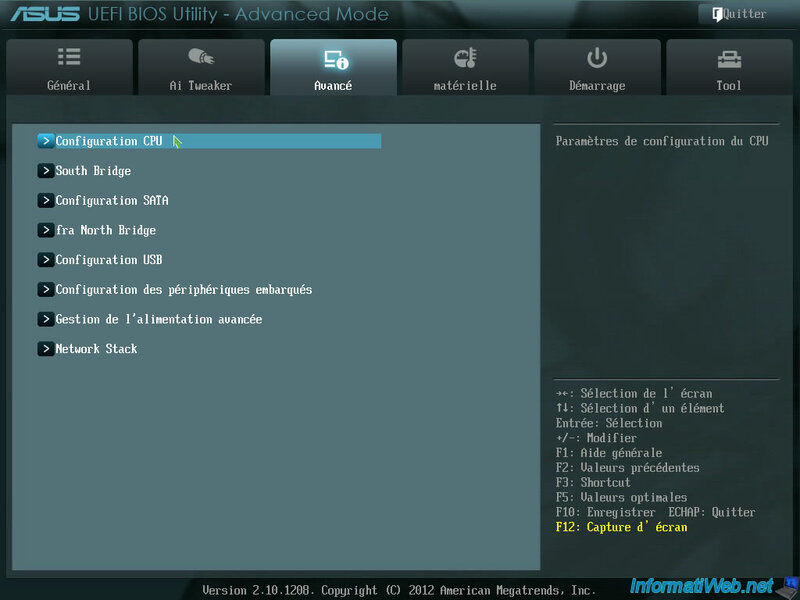 Then, if your BIOS is like this, go to the advanced mode. In our case this category is called "CPU Configuration". Look for "Intel Virtualization Technology" or "VT-X" for Intel processors. Or "AMD-V", "SVM" or "Secure Virtual Machine" for AMD processors. Once modified, click "Exit" and save the changes (in general, it is the F10 key).